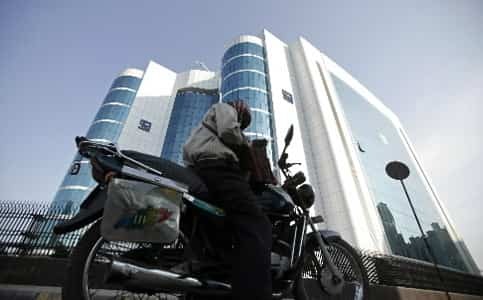 Mumbai: Securities and Exchange Board of India (Sebi) counsel Darius Khambatta on Friday told the Bombay high court that the regulator has new findings and may ask MCX Stock Exchange Ltd (MCX-SX) for additional undertakings before considering its application for equity trading. The court has been hearing the case since last October. While the matter continues to be sub judice, on 14 September Sebi granted conditional extension to MCX-SX’s licence to trade in currency derivatives while issuing a show-cause notice asking why a renewal of its licence should not be denied. Even though the markets regulator has not allowed MCX-SX equity trading, the exchange has been offering currency derivatives trading since 2008. The court on Friday asked both parties to decide by 14 October whether Sebi could reconsider MCX-SX’s application for equity trading if the exchange agrees to fully comply with the so-called Manner of Increasing and Maintaining Public Shareholding (Mimps) norms and give other relevant undertakings. While doing this, the court has suggested setting aside the 2010 Sebi order and keeping the recent show-cause notice in abeyance. Under Mimps norms, an entity, barring a few select financial institutions, cannot hold more than 5% stake in a stock exchange. The two promoters of the exchange—Multi Commodity Exchange of India Ltd (MCX) and Financial Technologies (India) Ltd (FTIL)—which originally held 51% and 49%, respectively, in the exchange, brought down their shareholding by divesting a 16% stake to a clutch of financial institutions and later issuing warrants to the extent that the promoters hold 5% each in the exchange. The warrants do not have voting and dividend rights, but can be converted into equity. Sebi is unhappy with the way the exchange has reduced its promoter capital, and in its September 2010 order called the exchange not “fit and proper" to conduct the business of a full-fledged stock exchange. The regulator has also argued that while divesting its stake, the promoters entered certain buy-back arrangements with the financial institutions, which may take the nature of forward contracts, illegal under the Securities Contracts (Regulations) Act. On 16 September, the court had suggested two options to resolve the issue. First, the two parties could discuss the issue in a “business-like manner" and take an undertaking from the promoters of the exchange ensuring compliance with Mimps and resolving the issue. If they are unable to resolve the issue this way, the court wanted to know whether Sebi could recall its 2010 order and give a hearing to the promoters of the exchange after passing a fresh show-cause notice. The regulator was to submit its final decision on the proposed options by Friday. MCX-SX counsel J.J. Bhat said, “We wrote a letter to them (Sebi). But they did not reply." On Friday, Khambatta said the regulator has chosen not to go with the first option. Sebi requested the court to give it liberty to issue a fresh show-cause notice to the exchange, conduct a fresh hearing, and pass a fresh order. “If the petitioner is willing to give an undertaking, then reconsider their application," justice D.Y. Chandrachud said. Sebi said it may need further and additional undertakings from MCX-SX. The exchange counsel sought time from the court and Sebi agreed to that.